When I was a kid the only goose that I could think of that could be at the ballpark was Goose Gossage. Who could forget that awesome mustache? While photographing a college game at Victory Field this past spring another goose made an appearance. This one came at just the right time so that the sky looked great. I tracked its flight fora while until I felt that I had made a picture. 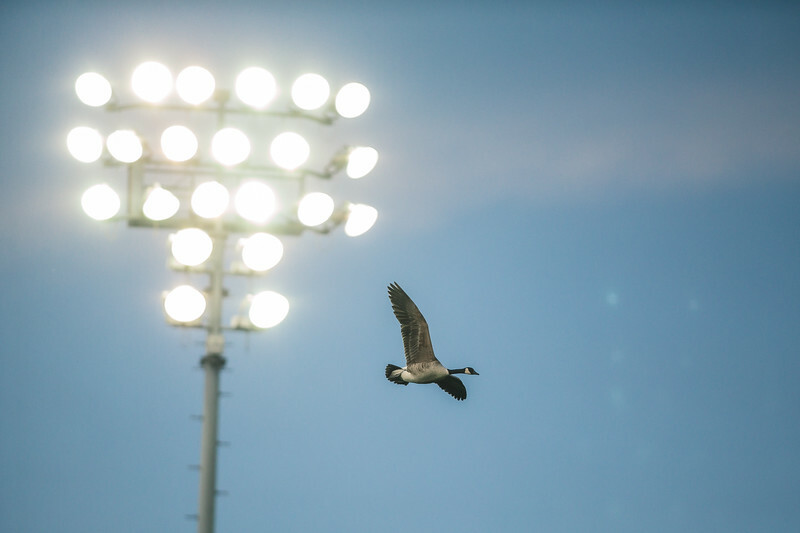 I thought that a goose which you normally see in the wild looked cool set against the ballpark lights. I have a problem where it seems like I come away with very different photos at times during games. This is an example of how I can get distracted. During a baseball game this isn’t a problem. I made this photo between innings when I had a little time to kill. The thing about having a blog with a post a day is that you always are thinking of content for it. That can be a curse and a blessing.